The first wave of bands for the WinterStorm main stage 2019 have been unvelied and here's a summary of what to expect - through February we expect to add to the line up and start teasing out some details about the Jagernesiter Stage and After the 'Storm too. Last year’s Jagermeister stage was an outstanding success showcasing up and coming acts along with a sprinkling of more established ones and it also flagged up some excellent live performances. Two of the many highlights of the second stage were The Brink and The Rising Souls. We are therefore delighted to announce them as main stage acts for this year. Alongside The Brink and The Rising Souls we’ll be introducing the Southern Rock based sound of The Outlaw Orchestra. By southern we mean Southampton! The Outlaw Orchestra will we think get the place jumping early on! They are a hard-hitting five piece rock band from Bridgend, South Wales. 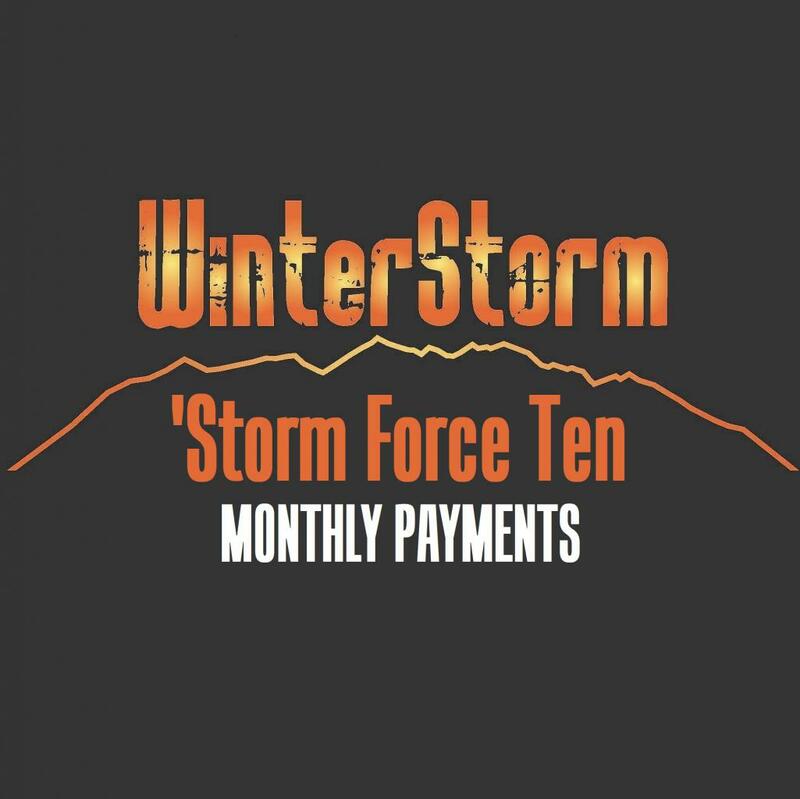 Performing all around the UK and playing at festivals such as Ramblin Man, Steelhouse, HRH, Giants Of Rock, Planet Rockstock, to name a few and we are delighted to add them to the already impressive list of young bands that have played the WinterStorm stage. The band are about to embark on a support slot for Stone Broken (who also played WinterStorm a couple of years ago). The Crows first hit the scene when their single 'Fear The Broken' premiered through Kerrang.com, and have recently signed a world wide record deal with Earache Records. During 2018, we also hosted a series of gigs in Ayrshire under the banner of South Beach Sessions and there were no shortage of astounding performance throughout the year but none better than the superb set of blues and rock performed by the superb Pat McManus Band. Pat is simply one helluva guitarist and his Irish roots naturally provide comparisons with Rory Gallagher and Gary Moore. On the strength of that set in front of a hundred people there was never any doubt that we’d be asking him to play the WinterStorm stage. If you haven’t seen him live do not miss the opportunity this year. In addition to Pat McManus Band, South Beach Sessions also featured the prodigious talent of Zal Cleminson with his new musical outlet Sin Dogs who were absolutely astounding that night and that lead to a date on the WinterStorm mainstage last year. Well sometimes things just don’t work out and let’s jsuts leave it at that. However the truth is, and given more recent tragic events and th death of Ted McKenna, we didn’t think that the performance last year was an appropriate way for WinterStorm and the audience to remember Zal and to that end we thought it seemed appropriate right to invite him back to leave a more positive mark. Sin Dogs will play on the Saturday as part of a core of Scottish bands for St Andrews Day and we are pretty certain that the difference will be night and day. So as we mentioned, Saturday is St Andrews Day and this will be represented not only on the main stage but also on the Jager Stage too. If we were bringing a female Scottish band back again it really had to be The Amorettes and we know they’ll rock it out of the park. If you haven’t seen them the three piece girl band will blow you away with their high energy rock n roll performance. We are keeping a couple of slots open and still negotiating for a couple of Scottish acts to add to the line up too. As we have always said WinterStorm was inspired by the days of trips to The Apollo in Glasgow and The Pavilion in Ayr and forty years on from the start of that era in 1979 we had to keep the NWOBHM flag flying and again we’ll have three bands from this era back on stage. And just wait to ee what we've got planned in 2020 to mark 1980! We were hoping to unveil all three at the one time but this has been delayed so will follow on but be rest assured the tail end 1979 will be heavily featured. We'll announce them all at the same time. Those that grew up in and around that NWOBHM era also had a host of bands and artisites that they had seen in various bands and a number of albums that became definitive of the era. For me and many like me, Tokyo Tapes was one of those albums. By the time I saw The Scorpions at The Apollo in the early eighties Uli Jon Roth had left the band but in those early albums the man left a legacy of songs and guitar work that have lasted and indeed grown. 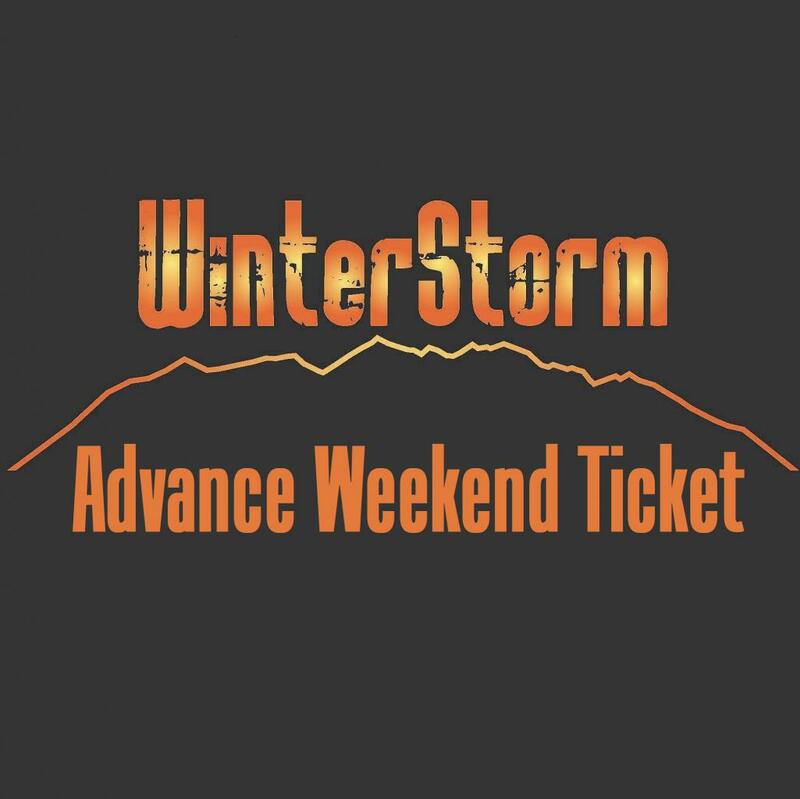 We have been trying to get this one over the line for three years and are delighted that Uli Jon Roth will be performing at WinterStorm 2019. Moving out of the seventies and into the eighties we have always played about with a strong core of AOR and it’s been noted on many occasions previously that Jim Kirkpatrick was instrunmental in getting WinterStorm off the ground providing contacts and support in the very embryonic stages of the event and after a superb acoustic performance with Steve Overland at last year’s “After the ‘Storm” event we are delighted to have the legendary FM back with us on the WinterStorm stage. The band are currently in the UK on support and festival slots and we can’t wait to get their high energy stage presence to WinterStorm in November. And so to the final announcement in the first round of bands – and there is lots more to come over the coming days and weeks! Multi-platinum selling band Skid Row will be joining WinterStorm to close out the Friday night. Skid Row started in 1986 when a group of New Jersey kids, armed with their punk and metal attitude, and a collection of riff-heavy, high-octane songs, set out to conquer the world, one concert at a time and the group went on to clock up numerous Top Ten singles, Gold and multi-Platinum selling albums and a Number 1 on the Billboard album chart. The band, their history and their genre bring something a little different to WinterStorm and we are looking forward to them bringing a bit of that eighties and nineties, attitude, fun and glam to the Ayrshire stage. So that’s it for part one on the WinterStorm announcements. 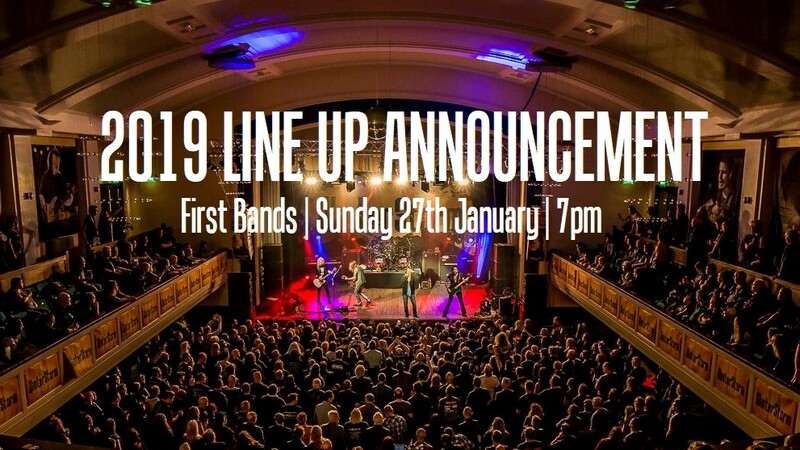 It is as usual a bit of an eclectic mix for 2019 as it has been for the previous three years too and we hope that even in the first raft of bands there is something for you to look forward to. It’s always difficult getting the balance right and each year needs to be a little different from the previous. Something old, something new, something borrowed, something blue. There is a bit of all of that in WinterStorm we think. We were very close to getting a couple of other names announced for the January date but we couldn’t get them over the line in time so hopefully over the next couple of weeks we’ll be in a position to add a wee bit more for you too.